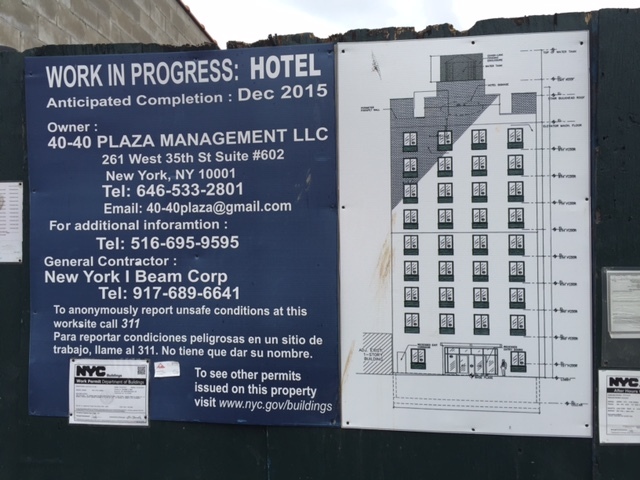 Construction has kicked into high gear at 40-40 27th Street, the future home of a nine-story hotel. 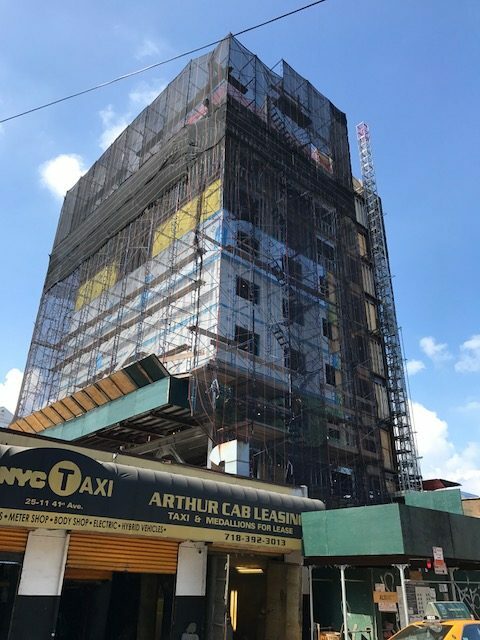 We last checked in back in July when steel beams had just reached the eighth floor.1 Since then, not only has the building topped out, but facade work has started and scaffolding is up, as seen in the photo below. On-site signage calls for a December, 2015 delivery, so obviously that’s not happening.